This is a big election year! 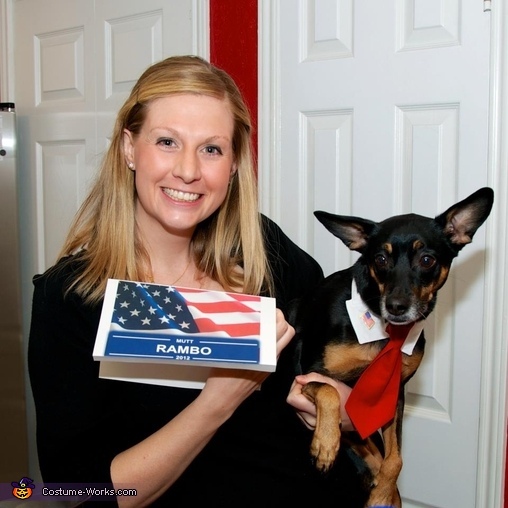 Our dog, Rambo, wants to take a bite out of the national debt! We discussed the names, Mitt Rambo, Mutt Romney, and ended up with Mutt Rambo. I used the white collar left over from his "tux" from my wedding. I took off the bow tie and added the red tie that I sewed from a $1 piece of fabric.